Conscience is the chamber of justice. The ultimate end of all things will be the elimination of evil. God is incomprehensible, and incapable of being measured. The power of choosing good and evil is within the reach of all. Prayer is of all things indispensable to the knowledge of the things of God. Although Christ was God, He took flesh; and having been made man, He remained what He was, God. Understand that you are another world in miniature and that there is within you the sun, the moon, and the stars. In souls, there is no illness caused by evilness that is impossible to cure for God the Logos, who is superior to all. The physical voice we use in prayer need not be great nor startling; even should we not lift up any great cry or shout, God will yet hear us. The discussion of prayer is so great that it requires the Father to reveal it, His firstborn Word to teach it, and the Spirit to enable us to think and speak rightly of so great a subject. As the eye naturally seeks the light and vision, and our body naturally desires food and drink, so our mind is possessed with a becoming and natural desire to become acquainted with the truth of God and the causes of things. The reason why all those we have mentioned hold false opinions and make impious or ignorant assertions about God appears to be nothing else but this, that scripture is not understood in its spiritual sense, but is interpreted according to the bare letter. 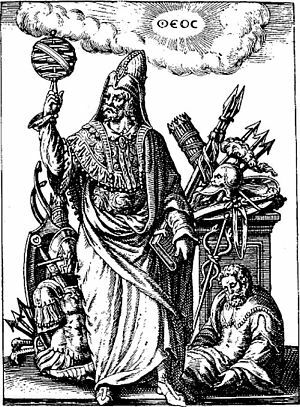 But God, who is the beginning of all things, is not to be regarded as a composite being, lest perchance there should be found to exist elements prior to the beginning itself, out of which everything is composed, whatever that be which is called composite. That is properly termed everlasting or eternal which neither had a beginning of existence, nor can ever cease to be what it is. And this is the idea conveyed by John when he says that God is light. Now His wisdom is the splendour of that light, not only in respect of its being light, but also of being everlasting light, so that His wisdom is eternal and everlasting splendour. If this be fully understood, it clearly shows that the existence of the Son is derived from the Father but not in time, nor from any other beginning, except, as we have said, from God Himself. 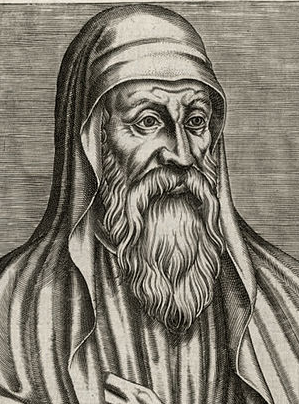 Origen, or Origenes Adamantios was a very influential Alexandrian ascetic, mystic and Church father in the 3rd century. He is best known for his theology and for his mystical contemplations on life, God and Jesus.